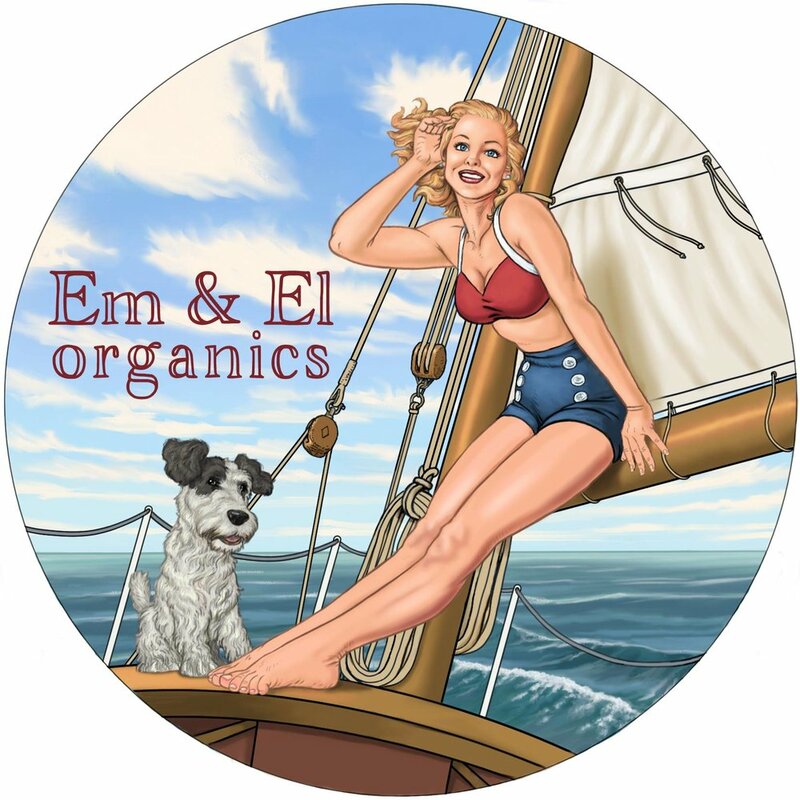 Inspired by a love of wooden boatbuilding, sailing and dogs, Em & El Organics makes simple skin care for adventurous people. Handcrafted from pure, high-quality ingredients, our products go the distance to make sure your skin is healthy, radiant and beautiful, even if it’s sensitive or acne-prone. Over a decade ago, Emily found herself battling a sudden and stubborn case of adult acne. After a series of failed prescription drugs, visits to dermatologists, and products that simply didn’t work, she decided there had to be a better solution. She began to research ancient skin care techniques from women around the world, experimenting with plant oils and pure essential oils. Her travels influenced the ingredients she chose, eventually leading her to develop her own face cream. Firmly dedicated to organic growing practices, Emily sources all of her raw ingredients from small family businesses and farms, such as raw honey and beeswax from upstate New York. Start Small Think Big matched Emily with experts to advise her on corporate governance, employment, doing business online, and intellectual property.